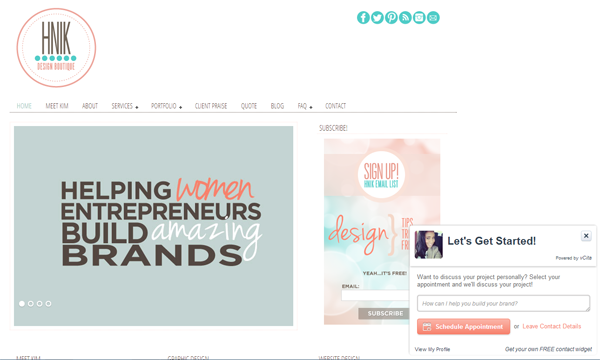 HNIK is a design boutique owned and operated by Kimberly Marie. 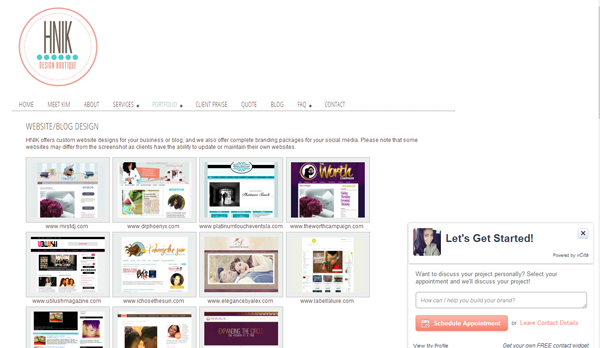 She helps women entrepreneurs and bloggers develop their brand and their online presence. She has a niche and her whole brand represents a professional feminine style with modern fonts with pastel colors — very light, bright, and airy. Visit Kim’s website at www.hernameiskim.com. 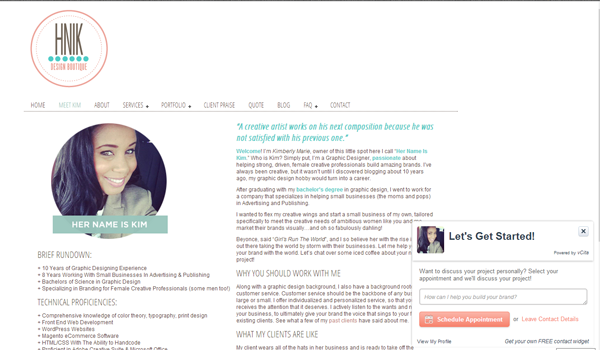 What do you think about Kim’s Website?